Luang Por (LP) Anek Yasadinno was born in 1946 in Ubon province, Thailand. He received ordination as a Buddhist monk in 1967 at his local village monastery and moved to Wat Nong Pah Pong in the following year to practise under the tutelage of LP Chah. In 1973, LP Anek became the first abbot of Wat Pah Sai Ngam and played a major role in building up the monastery, where he has since lived. He is one of the respected elders of the greater society of monasteries and monks in the LP Chah lineage in Thailand and abroad. Luang Por Piak is one of Thailand’s most respected teachers of Dhamma and meditation. Born in 1948, Luang Por Piak’s given name is Prasobchai but he was nicknamed ‘Piak’. As a child and young man Luang Por Piak did not have much interest in religion or meditation. It was when he was studying for his Masters in New York that Luang Por Piak began to develop an interest about the mind. When he returned to Thailand from New York for medical treatment, he spent some time in a monastery under the guidance of Luang Pu Boon Nah (disciple of Luang Pu Kao Wang). He soon discovered he has a genuine affinity for the practice and decided to ordain as a monk for the annual 3-month rains retreat. One of his aunts advised him to visit three teachers: Luang Pu Kao, Luang Pu Fun and Luang Por Chah (all three being disciples of Luang Pu Mun). When Luang Por Piak met Luang Por Chah, he had a strong intuitive sense that this was the right teacher for him. On 3rd July 1976, Venerable Piak received full Bhikkhu ordination from Luang Por Chah. Luang Por Piak is now the Abbot of Wat Pah Cittabhavana, Pathumthani, Thailand. Āyasmā Aggacitta is a Malaysian Buddhist monk who received higher ordination from his preceptor, Bhaddanta Mahasi Sayadaw in 1979. He trained under various teachers, notably Sayadaw U Pandita, Sayadaw U Tissara, Sayadaw U Acinna and Sayadaw U Tejaniya. In 1994, Āyasmā Aggacitta spent 4 years in solitary meditation retreat in Sarawak. Since returning to West Malaysia in 1998, Āyasmā Aggacitta has spent considerable time investigating popular interpretations and practices of Buddhism in the light of the Pali scriptures, real life experiences and contemporary research findings. Using a critical yet constructive approach, he has been sharing his findings with interested parties in order to bring them closer to a practical reality they can more easily connect with. In 2000, Āyasmā Aggacitta founded Sasanarakkha Buddhist Sanctuary (SBS) in Taiping, Perak. In 2012 he accepted the invitation of the Theravada Buddhist Council of Malaysia (TBCM) to be on its Monastic Advisory Panel. Tan Ajahn Siripanyo is a Thai-Malaysian monk born in London and educated in UK. He was ordained in Thailand and lived there as a Thai forest monk. Tan Ajahn Siripanyo is now the Abbot of hermitage Dtao Dam on the Thai-Burmese border in Saiyok National Park, beyond Kanchanaburi. Venerable Buddharakkhita was born in Penang in 1971. After attending a short meditation retreat at Tusita Hermitage (Kuching) in 2008, he was inspired by Venerable U Mangala and the young monastic that he decided to go forth. He was ordained in 2009 by the most Venerable Pa Auk Sayadaw and began to train under Ven. U Mangala. He is fluent in both English and Mandarin. Currently he is assistant teacher to Ven. U Kañcana in Tusita Hermitage (Kuching), teaching meditation to monks, nuns and laity. Ven Khai Zhao was born in Ipoh, Perak. In 1987. He took ordination with most Ven. Book Kian at Penang Ang Hock Si Temple. After graduation from Malaysia Buddhist College in Penang, he started teaching Dhamma in local prisons, especially to death penalty inmates from 1998. Since 2006, he has been travelling locally and abroad teaching Dhamma in prisons, conducting retreats and giving counselling and guidance. Venerable U Maṅgala was born in Malacca in 1968. He was a graduate of the Law Faculty, University of Malaya. Ven. U Mangala was ordained in 1996 by Ven. Pa-Auk Sayadawgyi and began practising Vipassana meditation under Ven. Pa-Auk Sayadawgyi’s close supervision and guidance. In 2006, Ven. Pa-Auk Sayadawgyi appointed Ven. U Mangala as the meditation teacher in Pa Auk Forest Monastery in Mawlamyine. In 2008, with support from the Malaysia Dhamma Society, Venerable started teaching meditation in the newly established Tusita Hermitage (Kuching), Sarawak. Since then, Tusita Saṅgha Council has established Hermitages and Centres in Nepal Himalaya, Taiwan, Malacca, Penang and Taiping. He also established Tusita Dhamma Earth monastery at Semenyih in 2016. Venerable U Maṅgala is the author of several Chinese Dhamma books, namely “The Price of Nature”, “Maṅgala Sayings” and “Maṅgala Zen”. Venerable is fluent in English, Mandarin, Cantonese, Hakka and Malacca Hokkien. Luang Por Liem Ṭhitadhammo is a Buddhist monk in the Thai Forest Tradition. He was born in Sri Saket Province in the Northeast of Thailand on the 5th of November 1941. After higher ordination at twenty years of age, Luang Por practised in several village monasteries throughout the Northeast until he joined the Forest Tradition in 1969. He took up the training under Luang Pu Chah, who later became one of the most famous monks in the country, and whose reputation and influence has continued to spread throughout the world, even today. Living under Luang Pu Chah’s guidance in Wat Nong Pah Pong in Ubon Province, Luang Por Liem soon became one of his closest disciples. After Luang Pu Chah became severely ill in 1982, he entrusted Luang Por Liem to lead the monastery. Shortly thereafter, as Luang Pu Chah’s illness prevented him from speaking, the Sangha of Wat Nong Pah Pong appointed Luang Por Liem to take over the abbotship. He fulfils this duty up to the present day, keeping the heritage of Luang Pu Chah’s Dhamma and characteristic ways of monastic training available for monks, nuns and lay disciples. LP Thun is one of the first batch of disciples ordained by Venerable Ajahn Chah at Wat Nong Pah Pong. After ordination, LP Thun served and practised under Ven. Ajahn Chah at Wat Nong Pah Pong for 9 years. LP Thun was then appointed by Ven. Ajahn Chah as the abbot of Wat Pah Tam Seng, which has been established for 45 years as the 5th branch monastery of Wat Nong Pah Pong. Luang Por Thong Daeng is the Abbot of Doi Phra Chow Dtone Luang Monastery in Changmai, Thailand. He was born in Sakhon Nakhon, became a Novice at the age of 15 and took higher ordination as a monk at the age of 21. 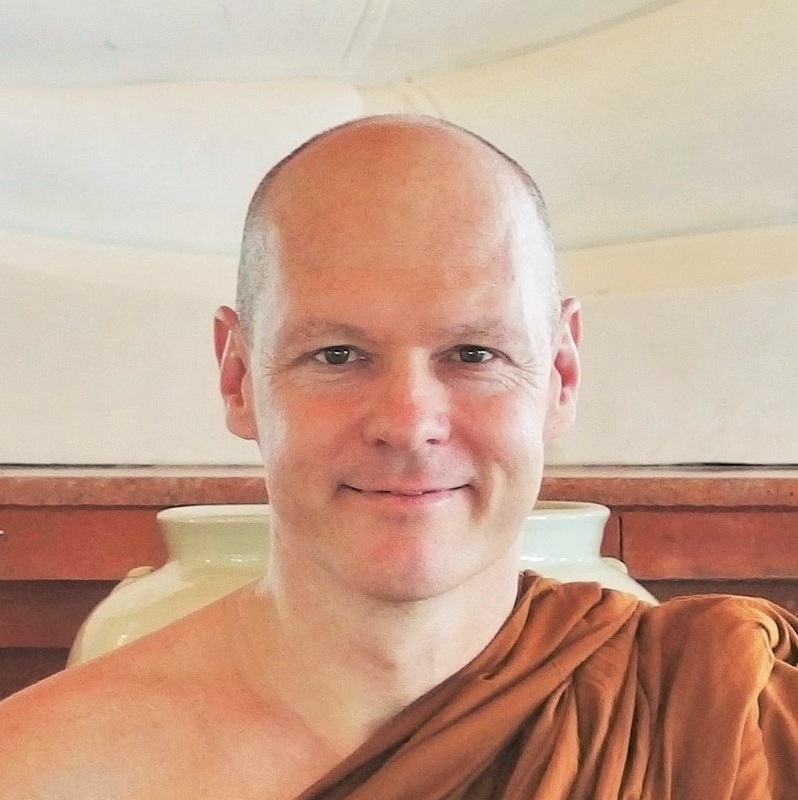 He has been a monk in the Thai forest tradition of the great master Venerable Ajahn Mun. His teacher, Venerable Ajahn Uttamo is a famous forest monk. Luang Por Thong Dang went for “Tudong” (walking in forest tradition) for 4 years, walking from North East Thailand to South East Thailand. He then stayed with Luang Por Plien for 8 years in Chiangmai. Ven. Sri Saranankara arrived in Malaysia from Sri Lanka 30 years ago. Over the past three decades, Venerable has been working energetically to fulfill the spiritual and religious needs of Buddhists throughout the country. As its abbot, he had built the Sri Lanka Buddhist Temple in Sentul into an important monastery today with many resident bhikkhus. Luang Por Ajahn Sumedho (born Robert Kan Jackman, July 27, 1934, Seattle) is the senior Western representative of the Thai forest tradition of Theravada Buddhism. He was abbot of Amaravati Buddhist Monastery, UK, from its consecration in 1984 until his retirement in 2010. Luang Por means Venerable Father, an honorific and term of affection in keeping with Thai custom; ajahn means teacher. A bhikkhu for 45 years, Sumedho is considered a seminal figure in the transmission of the Buddha's teachings to the West. Born in London in 1949, Luang Por Sucitto entered monastic life in Thailand in 1975. He took bhikku ordination there in 1976 and returned to Britain in 1978 to train under Luang Por Sumedho in the lineage of the Thai Forest master, Luang Por Chah.In 1979, Luang Por Sucitto was part of the group of monks that established Cittaviveka, Chithurst Buddhist Monastery in West Sussex, UK. Luang Por was abbot of Cittaviveka from 1992 till 2014. Presently, LP travels on teaching engagements throughout the world. Ven, Sayadaw Jnanapurnik Mahathera, a Pali scholar and Vipassanacariya has been working actively for the progress and development of Theravada Buddhism in Nepal. He was born on 21st November, 1939 in Tansen, Palpa which is about 90 kilometers north of Lumbini, the birth-place of Lord Buddha. Ordained as a novice at the early age of 16, he spent a year in Buddhist studies in Nepal and went to Myanmar for further study. He received “Sasanadhaja Dhammachariya” a highly reputed order of Buddhist monastic education of Myanmar in 1963. Besides this Dhamma education, he has also completed various levels of formal education which includes School Leaving Certificate (SLC) in 1971, IA (1974), BA (1977) and MA (Culture and History) from Tribhuvan University, Nepal along with Diploma in Sanskrit from Banaras Sanskrit University, India. He is an author and translator of about 50 books on Buddhism, both in Nepali and Nepal Bhasha languages. He was also one of the members of the publication team of the Pali Burmese World Dictionary, Burma (1964-66). He has travelled extensively around the world as a Meditation instructor. For half a century, Ven. Sayadaw has been actively participating in the growth and development of Buddhism in Nepal. He is keenly interested in the education of the new generation in the line of Buddhist thought and philosophy. In fact, he has rendered a momentous service in this regard. Venerable Sayadaw was born on October 5 in 1952 in Upper Burma. As a young man he came to the local monastery to become a novice. Later he went to the famous Mahagandhayon monastery in Amarapura where his older brother was. In 1972 he was ordained by Ven. Mahagandhayon Sayadaw. He studied the Buddhist scriptures and finally took and passed the Dhammacariya-Exam. After that he taught the Buddhist scriptures for ten years.In 1976 he practiced Vipassana meditation in the Mahasi Meditation Centre in Mandalay where he was taught by Ven. Chanmyay Sayadaw. Some years later he went to the Chanmyay Yeiktha Meditation Centre in Yangon, where he was commissioned to teach meditation. In 1996 Ven. Chanmyay Sayadaw sent him as a teacher and abbot to the new Chanmyay Yeiktha Meditation centre in Hmawbi.Since 2004 he lives in his meditation centre in the suburbs of Yangon and teaches people from Burma and from abroad alike.